David Flores was a winner of LRLA #4 in January 2017 with his script 'Bristol'. - Finalist - 2018 Stage 32 Screenwriting Comp. "From my placement at AFF (Austin), I was put in contact with a Producer at BoulderLight Pictures, who read "Bristol." From that dialogue, I was commissioned to write a scifi feature script for BoulderLight, based on one of their internal pitches. That script is what I'm currently working on now." Huge congratulations to David! Being paid to write a script is truly exciting news, and we wish David all the best with that script, and all future projects! We are very proud. 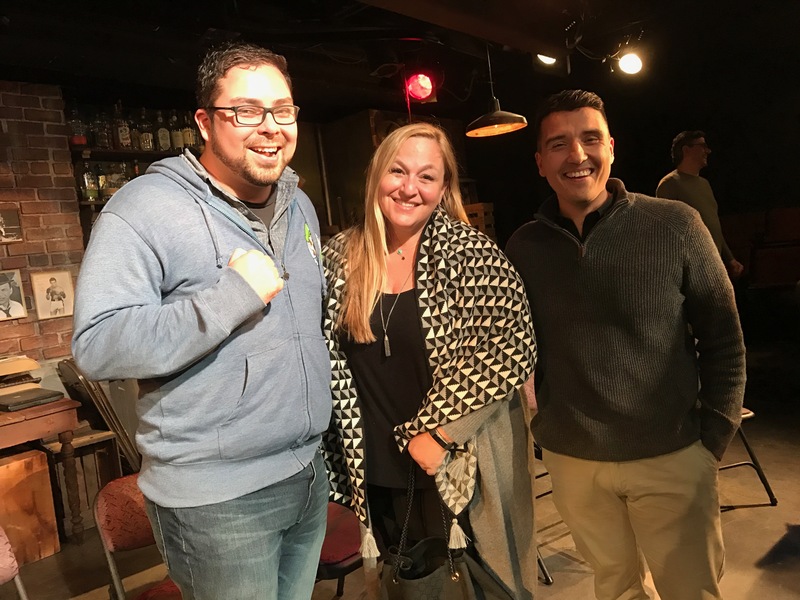 David on the left, with our Insider Monica Levinson - President of Production at ShivHans Pictures ('Beirut'), and our other winner Gus Avila at our January 2017 Reading.